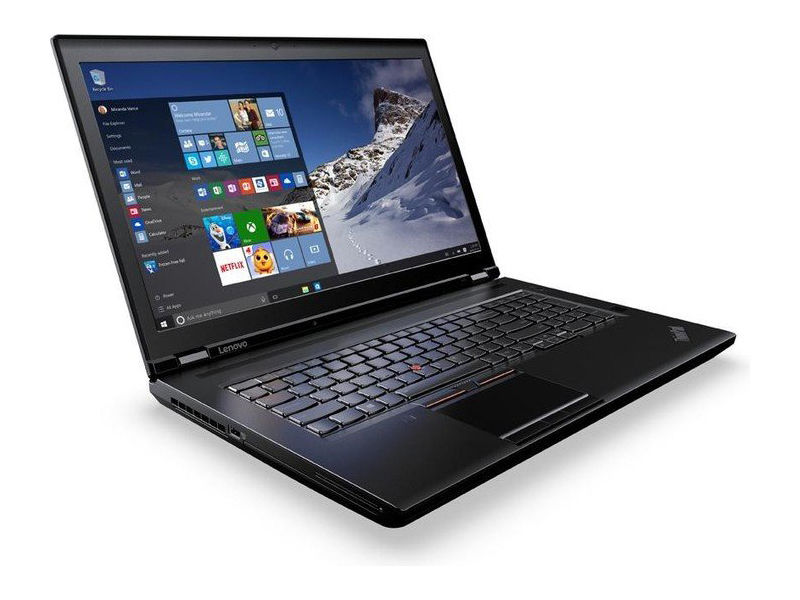 If you're in the market for a traditional 15 or 17 inch mobile workstation with a robust build, excellent keyboard and impressive high color gamut 4K displays, the Lenovo ThinkPad P50 and P70 merit strong consideration. Even more interesting is the full HD touch screen option that also supports the optional Wacom AES pen for drawing precise control in CAD and graphics programs. 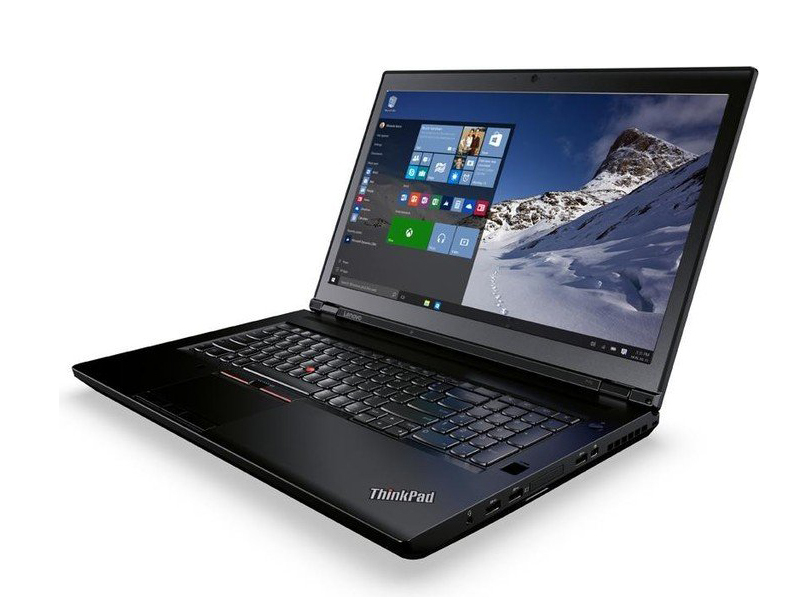 Combining a comfortable keyboard with bleeding-edge performance and an extremely accurate display, the ThinkPad P70 is the 17-inch mobile workstation of choice for professionals and businesses that can't afford to compromise and can afford its premium price. If you want something more portable, consider a 15-inch competitor like the Dell Precision 5510. After its multiple wins, the Origin suffered a humiliating last-place finish in this important test. The ThinkPad P70 impressed us by lasting almost the length of a full workday, though it couldn't match the stamina of the ultra-efficient ThinkPad W550s. The P40 Yoga is a marvellous piece of product design - despite the aesthetics letting it down. It's not a rival to truly full-spec laptops - but if you want a tablet/laptop hybrid but baulk at the price of the Surface Book, this is a great choice. The ThinkPad Yoga P40 delivers on a unique value proposition: graphics professionals can have their 2-in-1 hybrid and do compute-intensive work on it, too. In addition to its strong performance and even stronger build quality, Lenovo's laptop benefits from an accurate display, a comfortable keyboard and strong stylus support. Today’s laptops are wonderful, but not everyone is a fan. Some dislike the trend towards mediocre keyboards, glossy displays, and limited connectivity. These fans of old-school laptops bemoan decreasing functionality alongside increasing prices. If this rings true for you, you’ll love the ThinkPad P50. Armed with powerful specs, a beautiful 4K resolution display, responsive keyboard, and a durable chassis the Lenovo ThinkPad P50 workstation is an excellent machine. Let’s not forget to mention the long lasting battery life means users can stay productive even when they’re away from a power outlet. Power users willing to give up a bit of portability may want to consider Lenovo’s P70 model, which comes equipped with an even faster Nvidia M4000M GPU. Conversely, those who don’t need quite as much performance may want to consider either MacBook Pro or the Dell Precision 5510, which both come in at more than a pound lighter than P50. Like its stablemate the P70, the P50 is wasted on word processors and spreadsheets; it offers serious muscle for plowing through demanding design, engineering, scientific, oil and gas, and similar applications. If you leave your desk only occasionally, the weighty P70 is easier on the eyes, but the P50 offers a better blend of portability and power. The ThinkPad P50 delivers workstation-class performance, a snappy keyboard and a gorgeous 4K display, as well as over 8 hours of battery life -- enough to leave its heavy power brick at home. Creative professionals may prefer the MacBook Pro, which is 1.4 pounds lighter and offers similar battery life. The Lenovo ThinkPad P70 is a processing powerhouse on wheels. 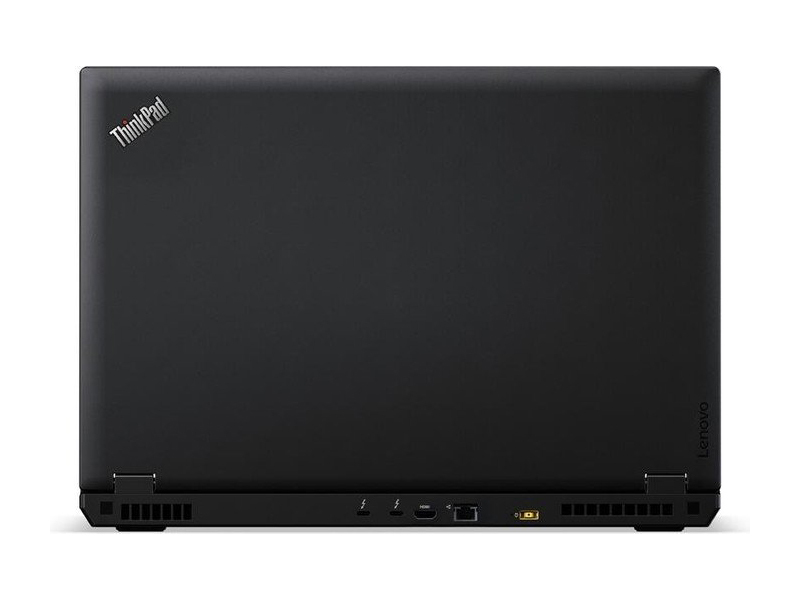 When Intel launched its mobile Xeon processors, it was easy to see that they were investing a lot of resources into transforming the traditional view of a desktop into something more mobile and versatile, and products like the Lenovo ThinkPad P70 help define this growing product category. Lenovo's attention to detail comes through in everything from the spill-proof keyboard to BIOS settings that customize the keyboard layout for accessibility. While the Lenovo ThinkPad P70 is an excellent product, it does have some downsides. The unit weighs more than enough, and the camera's resolution could be better. You can't talk about the ThinkPad P70 without addressing its size. At 16.38 inches (W) by 10.85 inches (D) by 1.18-1.35 inches (H) and 7.3 pounds, this 17.3-inch laptop is big. However, Lenovo wasn't being lazy with its design. That size and weight is the result of a well equipped mobile workstation that would give some desktop workstations a run for their money. 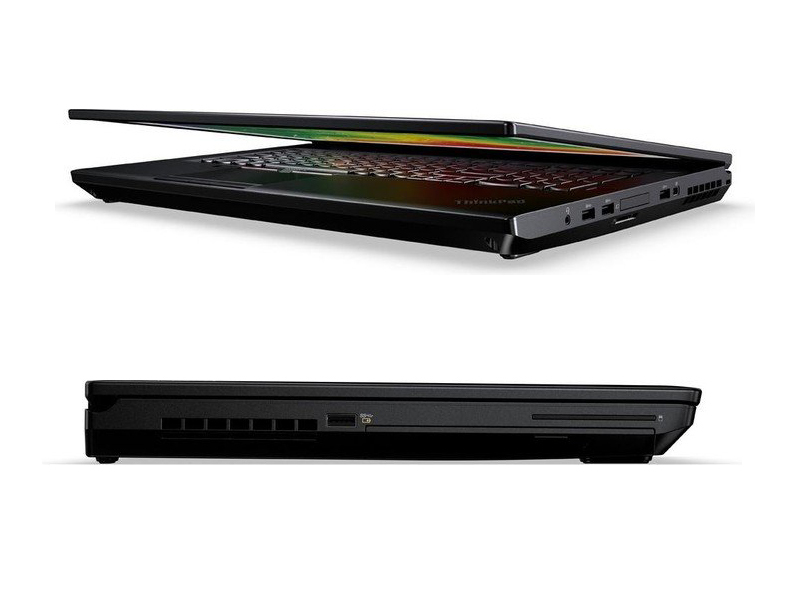 Lenovo is also introducing a new 17.3 inch mobile workstation called the ThinkPad P72. That model is an inch thick and weighs 7.5 pounds, which makes it a lot less portable. But it also supports up to 128GB of RAM, up to 6TB of storage, and up to NVIDIA Quadro P5200 graphics. 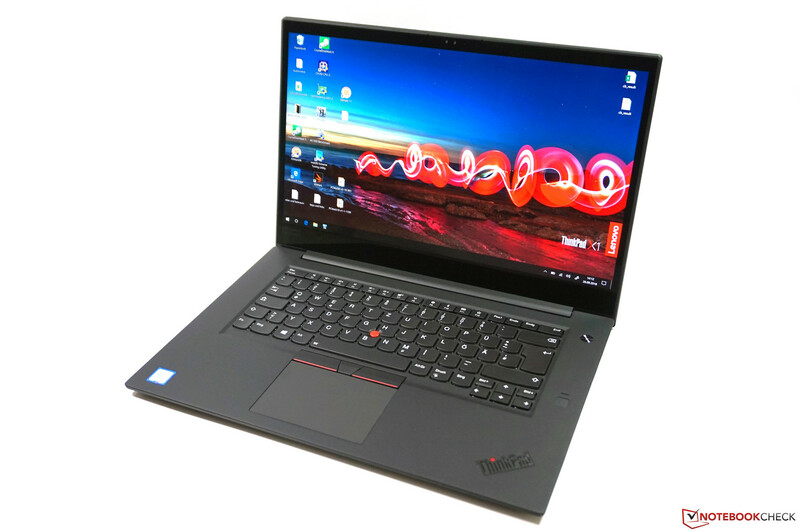 The ThinkPad P72 should be available soon for $1799 and up. 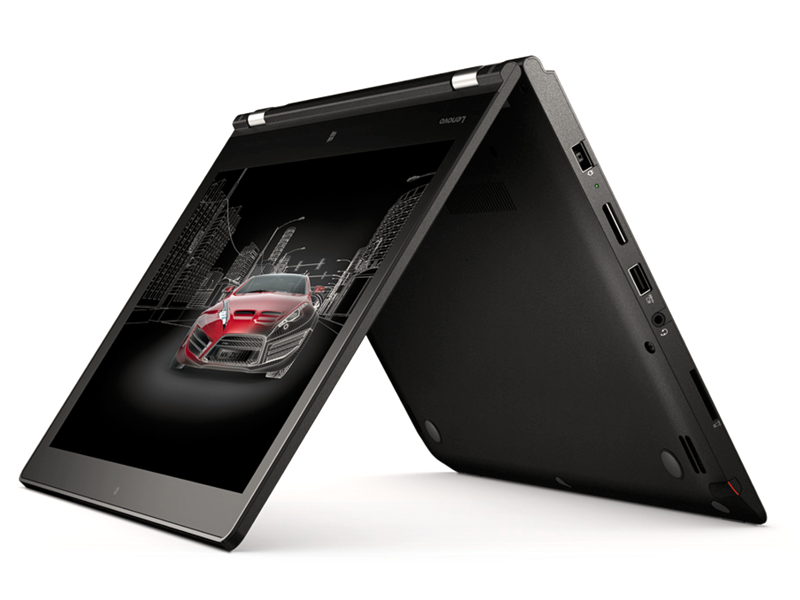 Alongside the P1, Lenovo has launched a mobile workstation with a 17-inch screen. Aiming to be a true ‘desktop replacement’, the ThinkPad P72 has 8th-gen Intel chips, up to 128GB of RAM, up to 6TB of storage with an optional 16GB of Optane memory that acts as a cache. It can even fit Nvidia Quadro P5200 graphics with 16GB RAM. The company finally offers a powerful mobile workstation under 4 pounds. 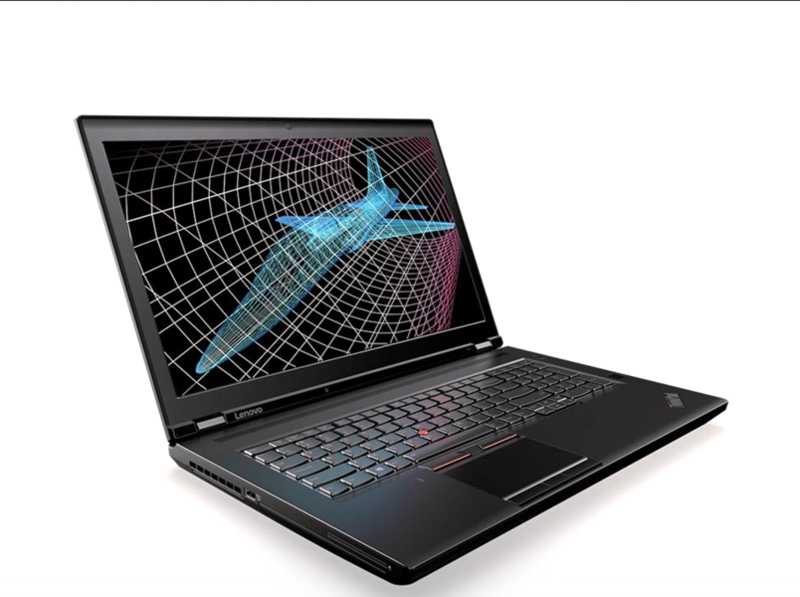 Despite the option for a 400-nit touch 4K Ultra HD display with 100 percent Adobe RGB gamut coverage, the 15-inch ThinkPad P1 targets CAD/CAM/CAE more than the (mythical) "right brain" design professions. Idag ställer vi in siktet på arbetsstationsmotsvarigheten till den kritiskt hyllade ThinkPad X1 Extreme. Vår fullmatade konfiguration för 42.200 kronor har en Xeon E-2176M CPU, en Quadro P2000 Max-Q GPU, 2 TB NVMe SSD och 32 GB RAM. Hur klarar den vår utförliga uppsättning tester? With its high build quality, lavish keyboard, generous I/O and extensive range of CPU options, the P1 is a good choice for professionals looking for more grunt. Just a shame about the battery life, though. 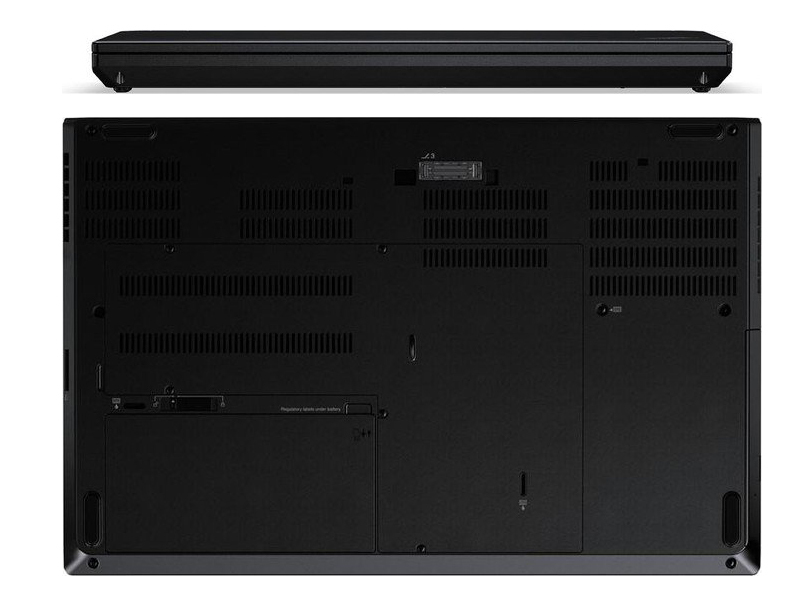 If the ThinkPad P1 had a longer runtime and its 4K panel weren't so dim, this machine would be the workstation to beat. Even so, the ThinkPad P1 is an excellent option for anyone looking for a portable powerhouse. The ThinkPad P1 is a portable powerhouse with a sleek, lightweight design and awesome performance. The Lenovo ThinkPad P1 is an awesome PC. Also, it has a nice name. It's the first of its kind, so before we get a ThinkPad P570 Yoga or something, let's take a moment to appreciate the simplicity of just calling something the ThinkPad P1. 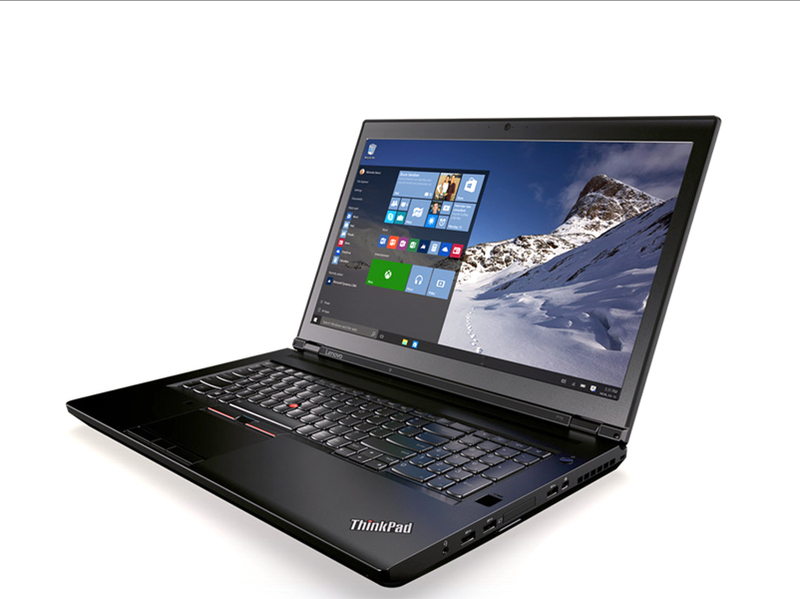 Considering the punch it packs, the Lenovo ThinkPad P1 is a pretty compact laptop. It's still quite large and heavy compared to true ultraportables, but anything less than a 15.6-inch screen would compromise the ability to fulfil its workstation purpose. The display itself is superb, even in its FHD incarnation without touch support. 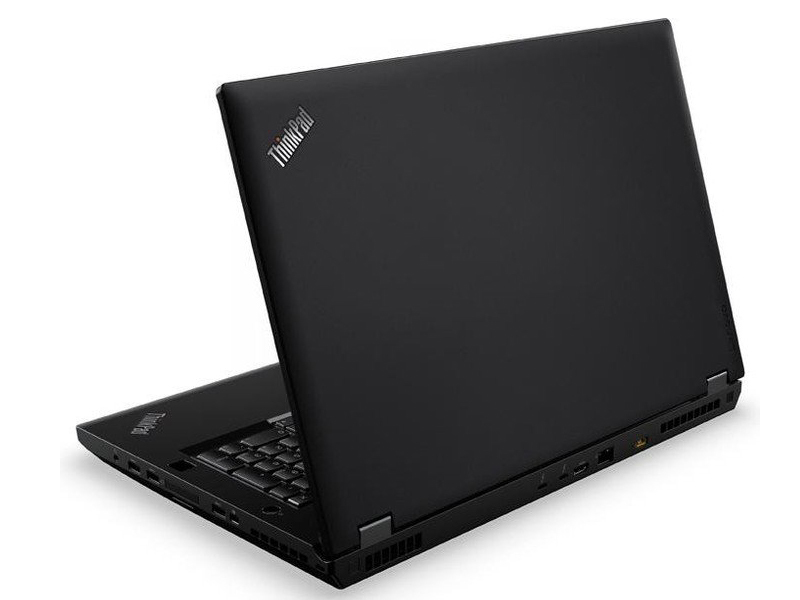 The Lenovo ThinkPad P1 is an amazing mobile workstation. It has the power to satisfy power users. It has the looks to appeal to those who care about what their laptop looks like. It’s priced to compete with the best the industry has available. 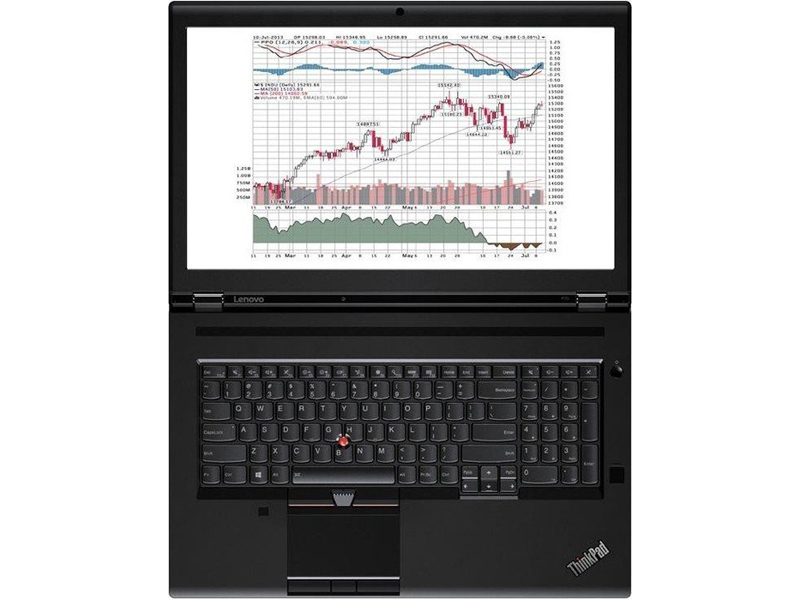 The Lenovo ThinkPad P1 is a highly recommended laptop and well worth your hard earned dollars. The P1 remains my overall favourite laptop to date, and it will hopefully only improve as better software and firmware address the GPU/battery drain bugs. You aren’t going to find a laptop with better build quality, input, I/O, and overall performance anytime soon, in my opinion. The next contender to beat the P1 / X1 Extreme is likely simply to be the next iteration of this model. Lenovo just needs to step up their support game and ensure that their updates are being thoroughly tested before being pushed out to end users. If you are looking for a reliable, powerful, and well-designed laptop for professional uses and some gaming, I still highly recommend buying the P1 or X1 Extreme. De här grafikkorten bör klara av alla nuvarande spel med acceptabel bildfrekvens, men inte nödvändigtvis med höga inställningar. Särskilt krävande spel kanske bara fungerar med låga inställningar. Till skillnad från prestandakorten hittar man däremot de här grafikkorten i bärbara datorer av lite mindre format med bättre batteritid. NVIDIA Quadro M3000M: NVIDIA Quadro M2000M: Ett grafikkort i mellanklassen för mobila arbetsstationer. Kretsen är GM107 (Maxwell) med 640 shaders och en 128-bitars minnesbuss.NVIDIA Quadro M4000M: NVIDIA Quadro P1000: NVIDIA Quadro P2000 Max-Q: NVIDIA Quadro P2000: Det här är mindre avancerade grafikkort för användare som ändå vill kunna spela spel. Nya spel bör vara spelbara, men ofta bara med låga detaljinställningar och låg upplösning. Eftersom moderna grafikkort i den här klassen har låg strömförbrukning kan även batteritiden vara bra. Grafikkort för arbetsstationer baserat på GM108-kretsen (Maxwell) med 384 shaders och 64-bitars minnesgränssnitt. Jämfört med det snabbare M600M kommer M500M endast med DDR3-grafikminne. Vanligtvis väger bärbara datorer med 17-tumsskärmar så här mycket. Vikten är hög för en 15-tumsdator men acceptabel för en dator som mest används stationärt. 82.97%: Det här är ett ungefärligt genomsnittsbetyg, eftersom ungefär hälften av de bärbara datorerna har fått högre betyg och den andra hälften lägre. » Mer information finns i vår köpguide för bärbara datorer.